How many houses on the beach rose from the sea?/How many a fisherman has a mermaid who never came for him? yet it sees more/And will show you the way. Here we are amazed/Here is always… there. How many slave ships sailed from the womb of my nation? And before that, how many of those people were teachers of the winds, of the land? We are more than sin, and all sin… makes us human. And from the sea did we fashion/The beating of our hearts. Enter this dance of life/Breathe and go for it. My home is perpetual movement, and the truth? The wind blew it away. From the album notes: “Yoru is a short version of the word Yoruba and it alludes to African traditions in Brazil. 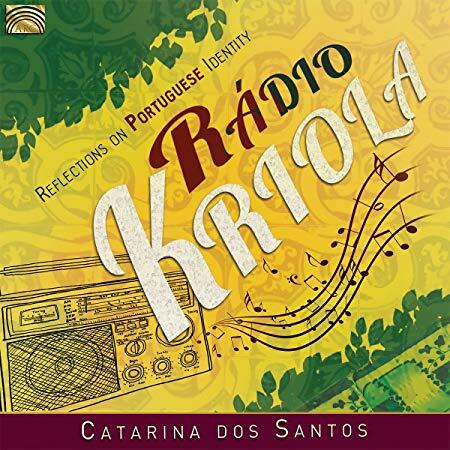 A song with abstract lyrics that are a blend of Portuguese and Cape Verdean Creole — an invented language.” Allusions in the chant include God (Nzambi) and the spiritual entity Jurema; among the ritual dances are alujá, coladeira and jongo. To change things/Vale da Amoreira is the place!